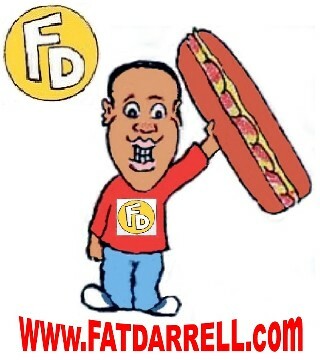 Let’s Taco Bout It – #DoubleFML FatDarrellPalooza! I was just kidding about leaving the bags packed, but I do need to plan my next adventure soon. I haven’t even fully explored the neighboring states since I’ve moved down to Georgia so I’ll definitely need to finally do so before I ever move from this area. Where do you guys think I should check out first? Any recommendations? The funniest part about this whole luggage situation is that I have been partially living out of the suitcase all week. In fact, the entire outfit that I’m wearing right now came from out of that bag, yet I still haven’t bothered to put the rest away. Haha, I know…sad right? I’m getting there though! But I am actually very comfortable living out of my luggage. I know that some people prefer to take everything out of their bag at the hotel and place it in the closets and drawers as though they’re moving in. They put comfort items on the nightstand and spread their things all around the room to get cozy. That’s never been me though, I’m always too paranoid that I might leave something behind or that it’ll get stolen easier so almost everything stays in or near my suitcase. What’s your preferred style? Whether you’re the type to turn the hotel into your second home or you live out of the bag, here are a few packing essentials that I personally own which both sides can appreciate. The first is the Pack-it System from Eagle Creek. I also have one of their rolling duffle bags which is pretty awesome and has a lifetime guarantee but that’s a different story for a different day. The Pack-it system is cool because it helps to keep shirts and pants neatly folded and organized within your suitcase. Items usually get wrinkled from being jostled around during travel, but in this case, since it’s compressed and held together with Velcro straps, your clothing should remain wrinkle-free! They also make separate storage cubes for socks, underwear, tees and more. I own the entire set and they’ve all come in handy. Even if you decide to take your items out of the suitcase, it’ll still be much easier to keep track of everything with these in your arsenal. Last but not least, I also own this hanging shelving system from Rise Gear. This is pretty awesome too and will help you pack faster than ever before! To begin, you hang it by the hooks in your closet. Then you can use the shelves to place your shirts, pants and tees. There are also extra built-in areas for shoes, socks, etc. Once everything has been loaded, unhook it and drop the entire shelf into your suitcase or bag and you’re ready to go! Once you arrive at your destination, you can hang it back in the closet and viola, your own mini-wardrobe awaits. Plus, there’s also a built-in section to drop your dirty laundry at the bottom! They also make bags that have the shelving system built-in, but I prefer the free-standing option that I own since I can place it in the bag of my choosing. Again, this is the perfect compromise to essentially remain unpacked yet packed at the same time. What are you some of your packing life-hacks? Share them in the comments below! So aside from being late unpacking, I still haven’t seen new The Fast and The Furious Movie yet either. It’s already been out for 3 weeks! And the Guardians of the Galaxy sequel is in theaters now too! I’m going to have to prioritize heading to the movies this week – I’m so behind. If you’ve seen these 2 films already, let me know what you thought but please, no spoilers! Speaking of Wonder Woman, do you all remember Pro MMA (Mixed Martial Arts) star Chelsea Brooks (representing American Top Team – Atlanta) who demonstrated those self-defense moves for us a few months ago (if you missed it or want to watch the video again, follow this link…)? Well congratulations to her for defeating Kelly Beringson at Xtreme Fighting Nation’s (XFN) most recent event that took place in Ft. Lauderdale a few weeks ago! It was a hard-fought victory but shoutout to Chelsea for taking home the W! Unfortunately, she also took home a pretty painful looking black eye (ouch!) but that didn’t stop her from still celebrating her victory in style…shiner and all! Ha, what a tough chick – she really is Wonder Woman! I definitely wouldn’t mess with her lol. Oh yeah, and in case you’re wondering, I’m happy to report that her eye looks much better now. Seeing Chelsea out on the town in that condition reminded me of dating my ex-girlfriend though. No, she wasn’t a professional fighter, she was just extremely clumsy so she’d always have bumps and bruises from walking into random items and tripping over things. She also used to scratch herself as she slept, and to make matters even worse, she also worked with animals (literally, not metaphorically…she was a Vet tech) so she often had bite marks from them as well. So last Friday was Cinco de Mayo – did you celebrate? If so, did you actually know what you were celebrating? It’s not Mexico’s Independence Day as many have been misled to believe since it sounds so much like our July 4th celebration. Instead, it’s a holiday that celebrates the Mexican army’s 1862 victory over France at the Battle of Puebla during the Franco-Mexican War (1861-1867) which occurred on May 5th. Ironically, it’s barely even celebrated in Mexico but here in The States, we’ll use just about any excuse to throw a booze-filled party so here’s to you Mexican Army! Salud! And even though alcohol isn’t really my thing, any day that leads to discounted burritos, tacos and nachos is alright in my book. Every day can be Cinco de Mayo for all I care – Arriba! Oh yeah, speaking of tacos, last post I declared that despite never seeing him play and despite him not playing for my favorite football team (The San Francisco 49ers) that Dallas Cowboys rookie Taco Charlton is now one of my favorite players. Well in a sad turn of events, I’ve now learned that his actual name is Vidauntae Charlton. Taco is just his nickname. That’s still a great alias though so he’s still got my full support lol. As for how the name came to pass, here’s the origin story as told by Sports Day’s Kate Hairopoulos: Taco was a premature baby, so his mother, Tamara, was on bed rest during her pregnancy. Back in the 90’s, Taco Bell’s slogan was “Make a run for the border!” So after seeing an ad, his mother started saying that he was rushing for the border, trying to get out. She began referring to him as Taco throughout her pregnancy and the name stuck with him even after he was born. The rest is history. Ha that’s a fun story and man, that Taco Bell endorsement nearly writes itself. Fortunately he actually likes tacos (at least he does now. As a child, he rebelled against his nickname and refused to eat them but has now seen the light…) and since he’s around 6’6” and 277 lbs, I’m not sure how many people would risk telling him that his nickname is silly anyway! I’m just glad that my newborn nickname didn’t stick too. Since I was born on Halloween (literally) the doctor suggested that my parents name me “Little Spooky.” Wow, had that actually happened I’d definitely be exploring neighboring states right now because I’d probably be on my way back to Charlotte, North Carolina to find that doctor and give him piece of my mind! Little Spooky Butler? Really? Ha, yeah yeah I know he wasn’t being serious (or at least I hope he wasn’t!). I do think that Peanut Butler, Coco Butler and Icantbelieveitsnot Butler would be pretty hilarious names if I ever had triplets though! Just kidding, I’d never actually ruin some kid’s life with such a horrendous name, but at least one of those can be my pet’s name if I ever get one. A human though? Nah, I’m not famous enough to pull that off yet lol. Only A-list celebrities can name their kid something stupid like “Sparkly Daffodil” and get away with it. Actually wait, that’s not entirely true. I’ve met several parents who thought they were being so clever with their crazy kid names. I’ll tell you what though, if little “Sparkly Daffodil” ever hits them with a car and I’m on the jury, my vote is with the kid…those parents had it coming lol. Whether you’re looking to start your Competitive Hobby Horse career or not, if you want to jump higher, you’ll need to work on the muscles on your posterior chain to do so. “Posterior chain” is trainer nerd-speak for the muscles on the backside of your lower body. Simply put, that’s your glutes (aka the booty) your hamstrings and your calves. While you’ll still need to also train the rest of your body as well (especially your core), these muscles in particular will play a large role in increasing your vertical. Deadlifts, squats, lunges, sprints, box jumps, hip bridges and calf raises are just a few of the exercises you should focus on. We’re looking to launch a completely separate My Fitness Muse blog with workout demonstrations soon, but in the meantime, if you had no idea what I was talking about when I typed the names of those exercises, you may want to Google them by name or ask a fitness professional that you trust to demonstrate them for you. Have a fitness question you’d like answered or an accomplishment you’d like to share? Tell us about it in the comments below! Have a restaurant or food you think I should try next? Or do you have a great recipe you’d like to share? Tell us about it in the comments below! Have another song that fits today’s themes or a song we should just check out? Tell us about it in the comments below! Okay folks, that about it for this week. Don’t forget, Mother’s Day is next Sunday so if you haven’t gotten your Mom or wife a present yet, there’s your reminder. If you’re struggling to think of what to get her, order her one of those Hobby Horses and see how that goes over! Oh yeah, and speaking of reminders, here’s your reminder to leave a comment before you go. Also follow me on social media by clicking the appropriate icons on the side panel! I’m a little late reading your post today because I was doing some cemetery research today!!! Let’s leave it at that lol. I am not usually a fan of tacos, but after hearing your take on them and seeing those delicious pics, I might just try one this week!!! I recently saw a kid galloping around on tv and thought it was kind of stupid, but I now realize that it is a talent because one has to be really fit to perform these stunts!!!!. Wow, sorry to hear about the research, I hope that everything is okay! Not a fan of tacos? Blashphemous lol yeah those cakes are pretty impressive though. And I’m not sure if galloping around is a talent yet lol tbd… thanks for commenting! I have never seen the pack-it system features before. Man, it is the bomb!!! I am going to share this post with many of my friends ASAP because they are always traveling and would love to own one of these. What a Great Infomercial!!! The company that sells them should pay you for this great exposure to their product!!!! Kudos to Chelsea on her big defeat in the recent competition!!!! Um…interesting story about your past Vet Tech girlfriend, good thing you did not get arrested, lol. Until next time, run taco run because Darrell is going to eat you!!!! Yeah, Pack-it is pretty handy – that would be awesome if they paid me but either way I like the product! Yeah, congrats to Chelsea, she really earned that one. And yeah, my ex almost got in in trouble – luckily nothing ever happened beyond a few stares! Ha, thank you for your comment! We are on the same page about unpacking in hotel rooms. I’ve stayed in hundreds of hotels for many hundreds of nights in my various road jobs and I still never get over the feeling that I’ve misplaced something or that I’m forgetting something. Those packing cubes look awesome! I’m currently of the “roll it up, don’t fold it up” school…but that doesn’t work for all clothes. One of my favorite road warrior tricks is to hang shirts in the bathroom and let the hot shower steam the wrinkles (mostly) out. If we are just using song titles for these connections…then for the luggage I’ll have to go with “Not Today – Imagine Dragons”, and for the hobby horses and Drake I’ll go with “Hell No – Ingrid Michaelson”. Haha, I’m glad that you enjoyed your dedication! Lol I’ll try to leave him off the list next week though. And yes, I always triple check the hotels before I leave, I hate that feeling so we’re definitely in agreement there! My brother does the roll-it up approach too. I love the cubes though, they’re really convenient so I highly recommend them. That hot shower idea is smart! I’ve had to break out the hotel ironing board or pack a steamer for my last 2 trips so I should have done that instead! Thanks for the tip! Good call for Imagine Dragons, it’s good to see them back. A taco flavored protein shake? Hmm…sounds like a reader recipe challenge to me! What ya got people? Make it happen…. Although it does sound kinda gross this still could be interesting… thanks for your comment! Pingback: Hats on Hats on Hats – #DoubleFML FatDarrellPalooza! Pingback: 3 Feet of Cheese and 5 Feet of Fury – #DoubleFML FatDarrellPalooza! Pingback: Pour Some Sugar on Me – #DoubleFML FatDarrellPalooza! Pingback: Droppin’ Bars: Yasso Late to the Party – #DoubleFML FatDarrellPalooza!